The other day I made homemade chicken stock, and I was in search of an easy recipe for the super tender pulled chicken I had left over. I found this Rachael Ray recipe for sweet potato chicken black bean quesadillas and it was exactly what I needed. This was one of those 30-minute meals that was (gasp!) actually doable in 30 minutes. Indeed! 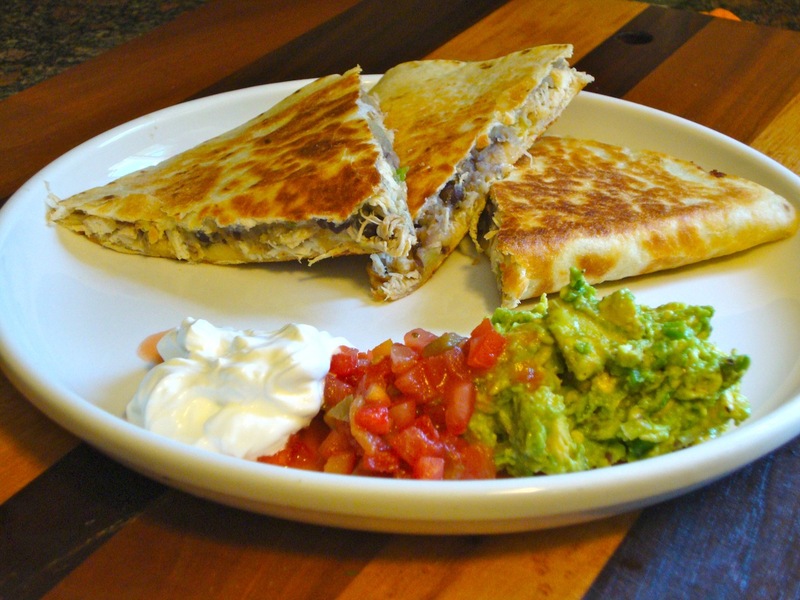 I love quesadillas — crunchy tortilla plus melty cheese dipped in guacamole and salsa — yum! This one has some great contrast with the mashed sweet potato (I mixed sauteed jalapeño pepper in for some heat) and black beans, and the melt-in-your-mouth-tender chicken was perfect. I could only find white sweet potatoes — they work just as well as the orange ones. If you like spice, finely chop one jalapeño and saute for a few minutes to soften. Mix with the mashed sweet potato and black beans. For leftovers, I put the fillings in the fridge and make them on the stove fresh instead of trying to cook them all and reheat (which never seems to work out well). I always have a tough time flipping a full tortilla, so i spread filling on one side of a single tortilla, throw in the pan for a minute then flip the uncovered side up to cover the filling (basically fold it in half). Then you can easily flip the half-moon over to get both sides (and it’s great if you’re just cooking for yourself since it makes less). Serve with salsa, guac and sour cream. Cut the quesadilla into slices using a pizza cutter. Easy! 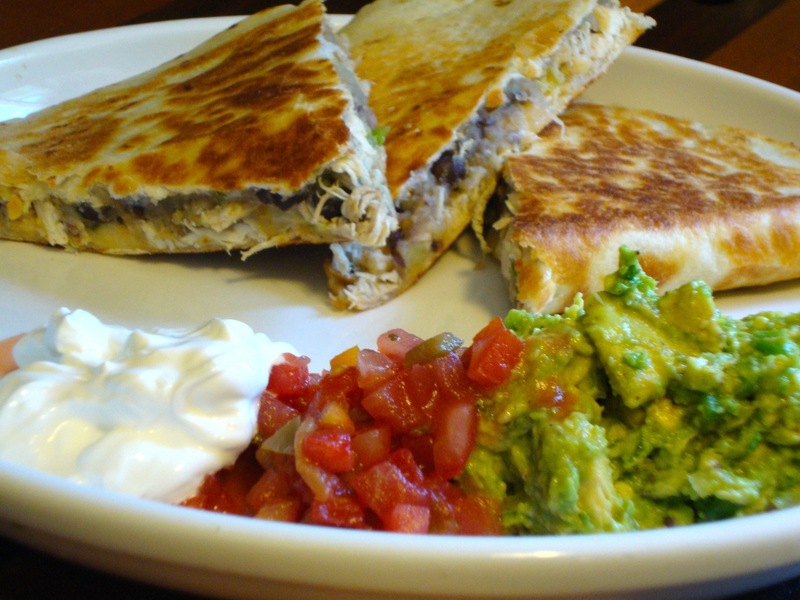 This entry was posted in Recipes, Uncategorized and tagged black beans, chicken, Mexican, quesadilla, sweet potato by Tricia. Bookmark the permalink. Mmmmm! Looks delicious:) Mexican with black beans—Can’t wait until we try this one! The quesadillas look awesome. I love them!